Like the other stops along Chain of Craters Road, there isn't shade, water, or restrooms here, so prepare accordingly. There should be trash cans and picnic tables, however. There is a small parking area available here for the lookout, so it isn't just a pullout like some of the other stops on this tour. 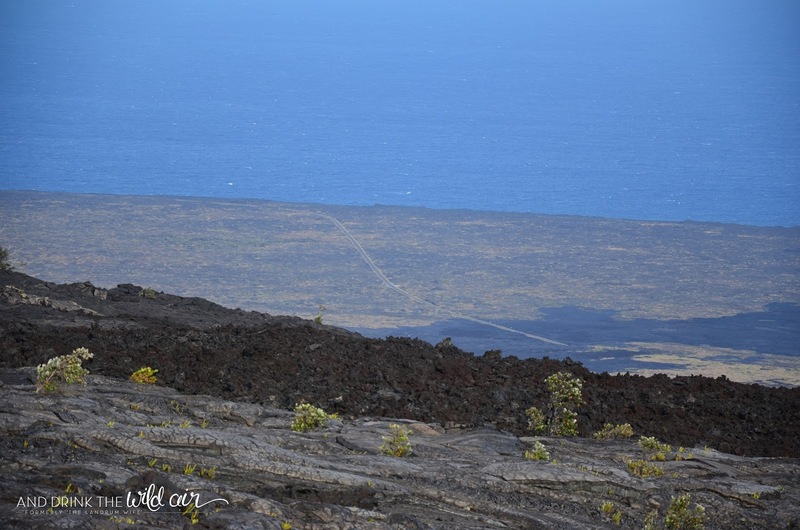 Kealakomo Overlook also serves as the trailhead for the Na'ulu Trail, which is just across the street. Fore more information on the Na'ulu Trail, go here. I would classify this stop as wheelchair and stroller-friendly since the path to the overlook platform is paved. I would plan to spend about 10 minutes or so here enjoying the stunning view! 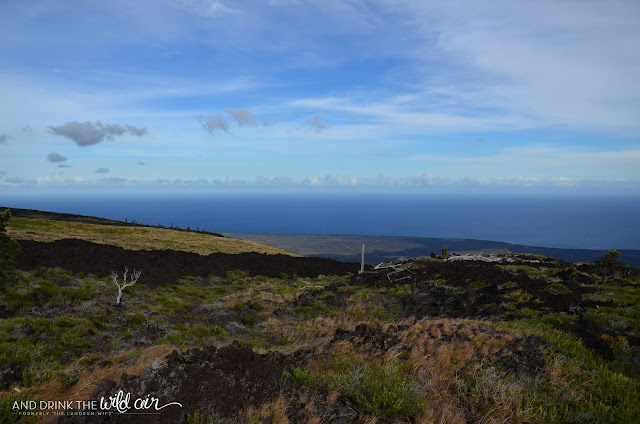 The Kelalakomo Overlook is a stop along Chain of Craters Road that offers a stunning view of some beautiful southern Big Island coastline. From here, you can see all the way to South Point on a clear day to your right and around Kalapana to your left. 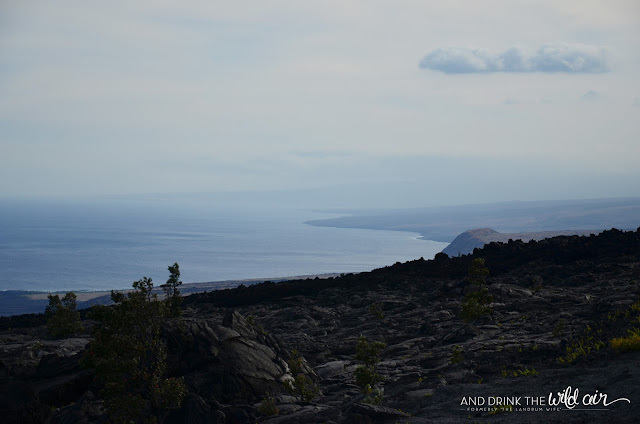 It's a great spot to appreciate just how massive this area of the Big Island really is! 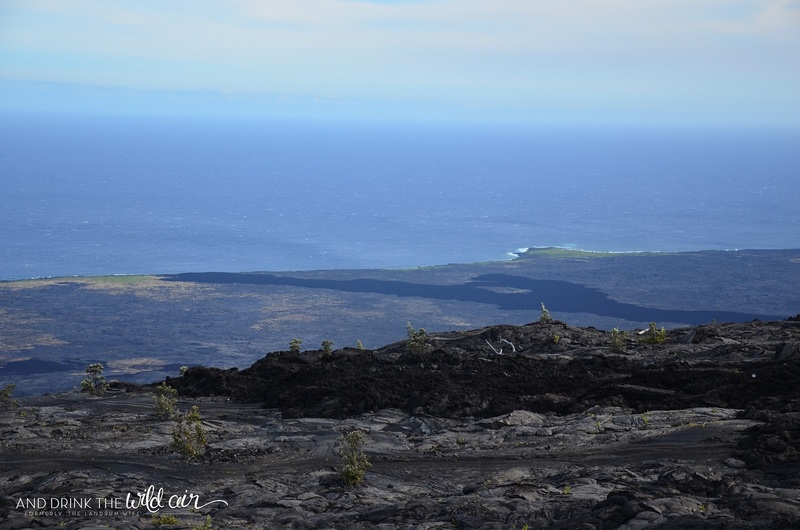 A village once resided in the area you see before you that's now covered in dark strips of old lava. Kealakomo is thought to have been abandoned after an earthquake and a tsunami in 1868 and then buried by the lava flowing from Mauna Ulu from 1969-1974, the flows that you just drove through to make it to this point! The flow reached all the way to the ocean, breaching the Holei Pali, the cliff where you're standing now and enjoying this gorgeous view. 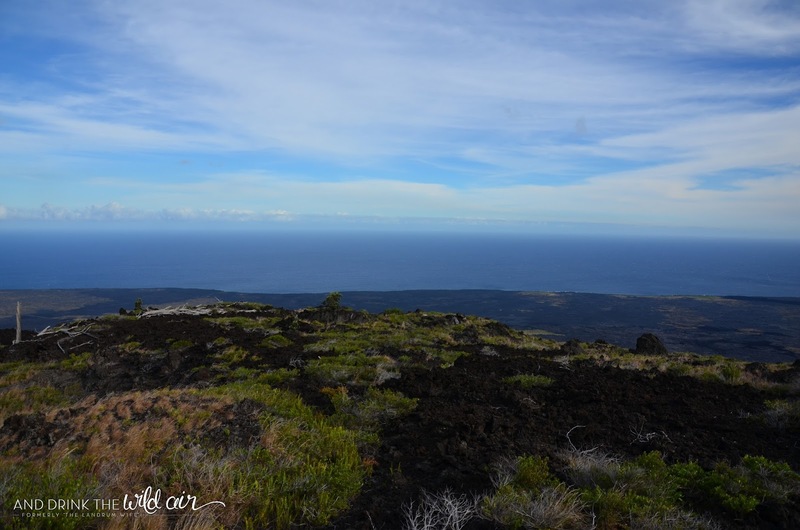 From here, you can also spot the differences in the lava types. The darker lava is a'a lava (the sharp, rough kind) and the lighter, silver-gray lava is pahoehoe lava (the smooth, ropey, cake batter-like kind). 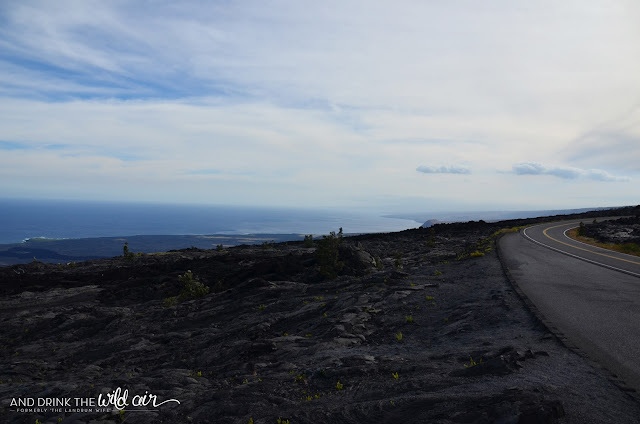 If you've been itching for some beautiful views on this driving tour, Kealakomo Overlook definitely fits that bill! Definitely make sure you stop here and get some great pictures of this gorgeous spot! 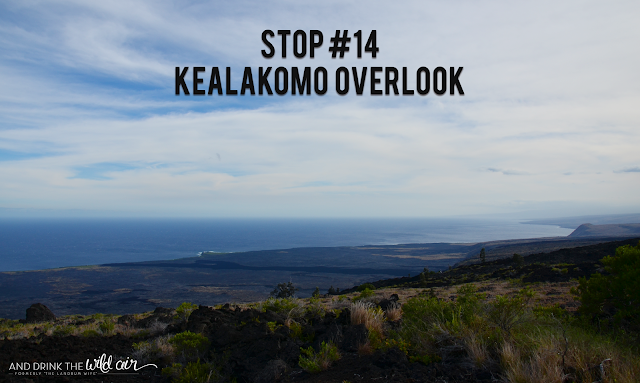 STOP 14: Kealakomo Overlook <--- You are here!